How does upgrading an emissions inventory affect air quality simulations? Each year, all Member States (MS) have to deliver their national emissions inventory to the European Union for all activity sectors, following the requirements of the CLRTAP programme. Recently, the specifications of this emissions report changed, MS emissions data had to be reported in grid cells with a resolution of 0.5° × 0.5°, and now, from 2015 forward, they must use a higher resolution grid (0.1° × 0.1°). The purpose of this study is to investigate the main differences found between these two emissions inventories for Europe, focusing on Portugal as a case study, using their available common year (2015). Differences on emissions values and their spatial distribution were analysed per sector and pollutant. 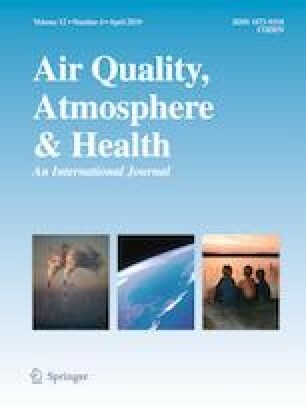 Additionally, to evaluate and compare the accuracy of both datasets, air quality modelling simulations were performed, and the resulting pollutant concentrations were validated using data from observations. The results found indicated major differences in several MS (e.g. France, Italy, Germany and Spain). Portugal was not one of the delta hotspots but significant differences were still found, mainly for NOx emissions for the transport sectors, both emissions and concentrations in urban areas, as well as NO2 concentrations throughout the study domain. The analysis of the air quality modelling outputs indicates that the EMEP0.1 inventory does not improve model performance, which suggests that the methodology to build EMEP0.1 was not adequate. This work highlights the importance of accurately estimating emissions data and confirms what other studies already indicated regarding uncertainties: solely improving the emissions inventory resolution does not necessarily imply higher accuracy in the results. Thanks are due for the financial support to CESAM (UID/AMB/50017/2019), to FCT/MCTES through national funds. This work is a contribution to project AIRSHIP (PTDC/AAG-MAA/2569/2014 - POCI-01-0145-FEDER-016752) funded by FEDER, through COMPETE2020 - Programa Operacional.